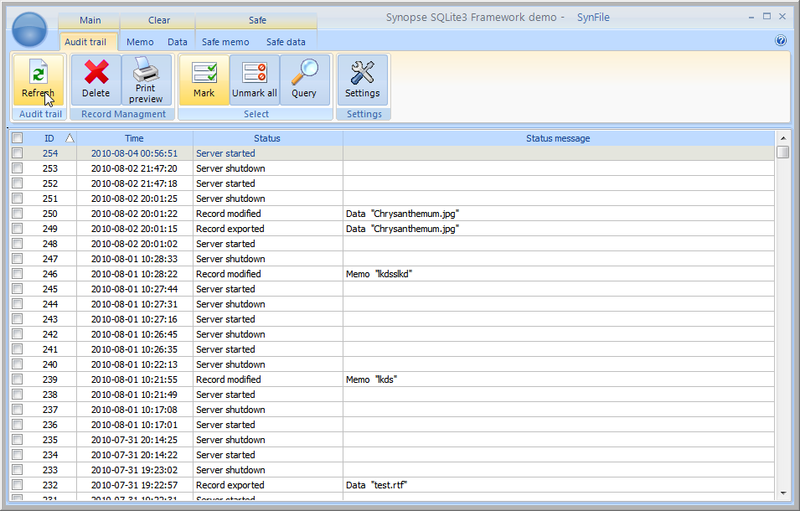 The SQLite3 MainDemo source code has just been uploaded to the repository. 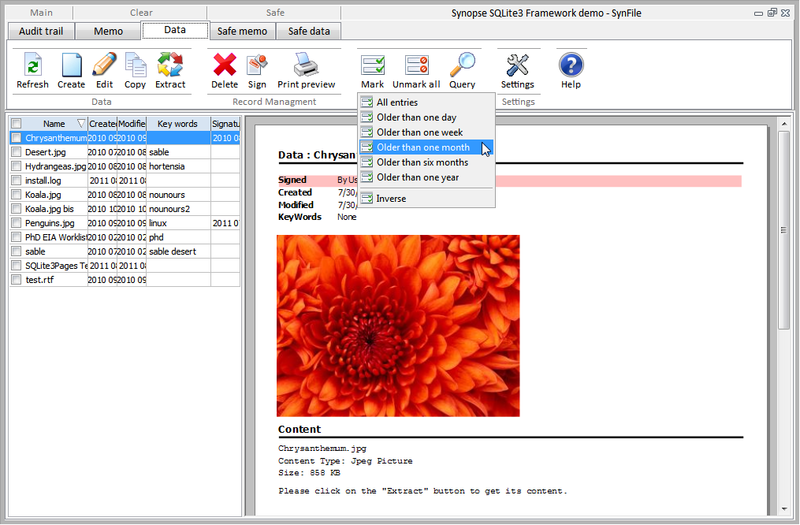 This application is just a database tool which stores text content and files into the database, in both clear and "safe" manner. 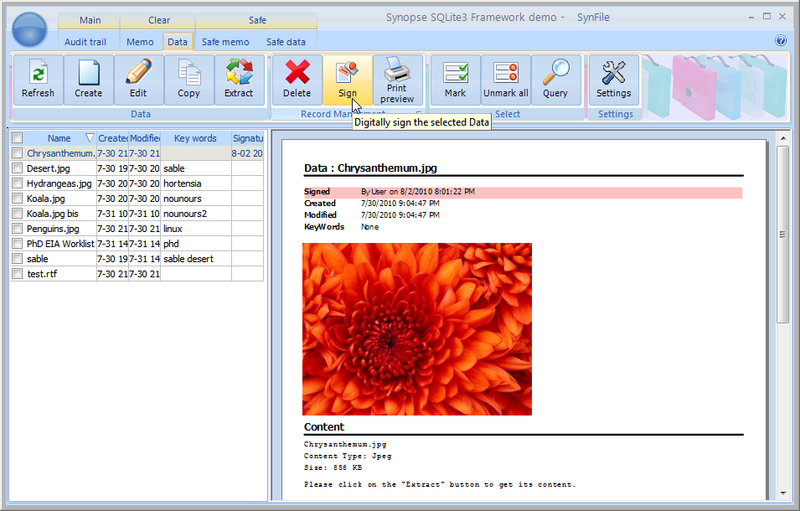 Safe records are stored using AES-256/SHA-256 encryption. There is an Audit Trail table for tracking the changes. It shows you some interesting features like integrated User Interface generation and i18n, reporting and export to PDF, client/server services. 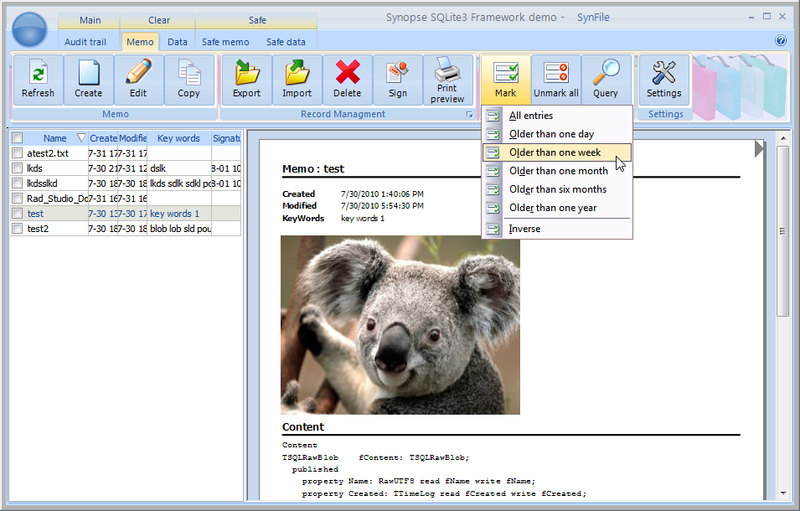 An executable (still in draft status) can be downloaded from http://synopse.info/files/samples/synfile.zip. More details and feedback in our dedicated forum page. The previous TMS-based ribbon interface now is able to use plain VCL components.